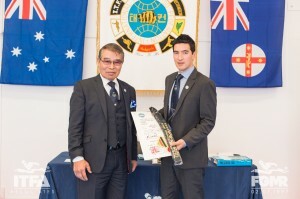 HOMENewsITFA Taekwon-Do Founder promoted to 8th Dan by FGMR!!! 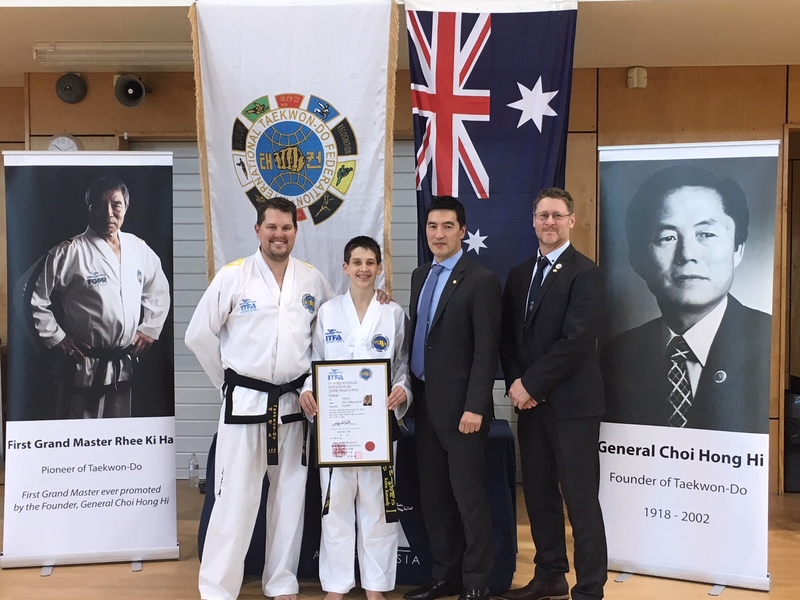 It was with great pleasure that we, the ITFA and fellow Taekwon-Do Practitioners, witnessed yet another moment in history on Sunday 11th April 2016. 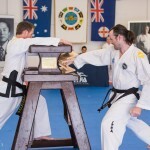 After a gruelling few days, mentally and physically, it was time for the ITFA Black Belt Grading. 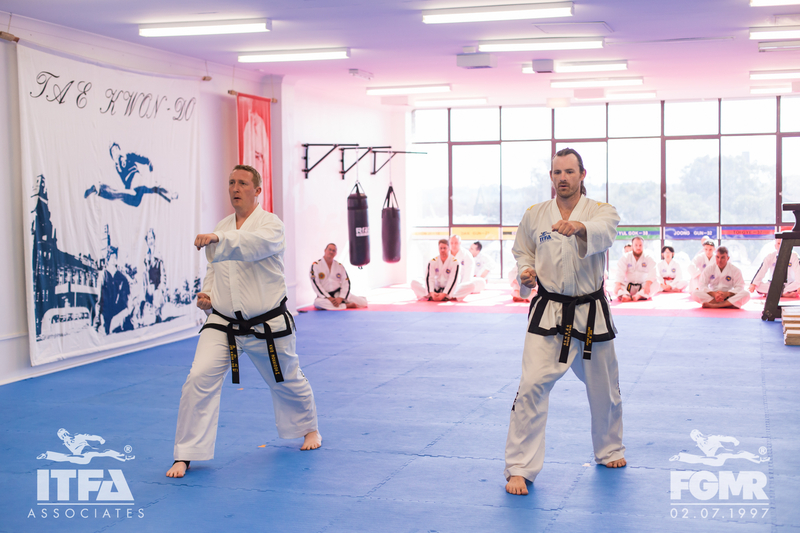 We shifted venues back to the new ITFA Dojang to witness the first ever ITFA Black Belt Grading to be hosted in our prestigious venue! 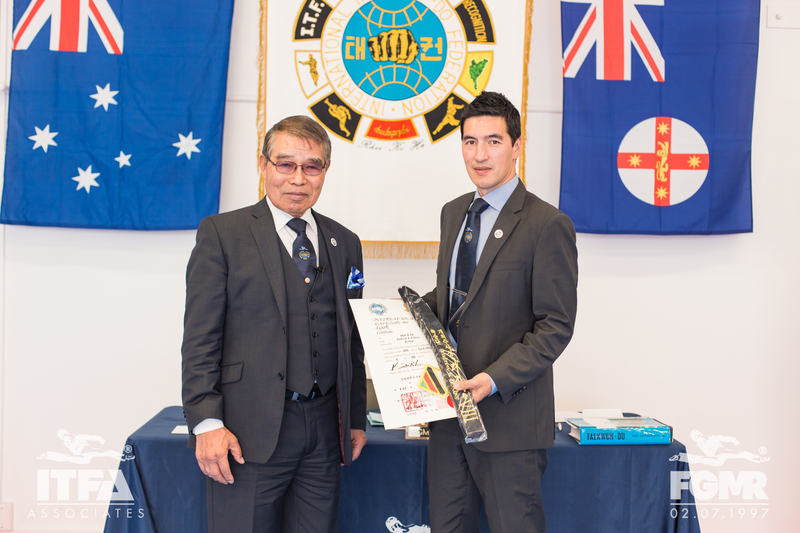 The Chief Examiner was First Grand Master Rhee, who had not only officially opened the venue two weeks ago at the ITFA Colour Belt Grading but had also conducted ITFA Instructor Training and the ITFA International Instructor Course over the weekend. 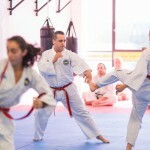 There were two candidates applying for promotion to II Dan and four candidates applying for I Dan. Mr Kris Morrison, ITFA Associate member and ViRTUAL student of Master Rhee, had travelled all the way from California, USA to stand in front of FGMR to promote. Along with Mr Adam Collins, ITFA Sale Instructor, the two gentleman struck imposing figures on the floor as they are both over 6ft tall! 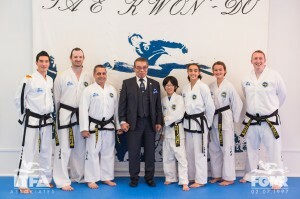 Gary Mezei, Corinne Hanna, Deena Yu-Fawcett and Jason Zhou stood nervously waiting for arguably the most nerve wracking grading of their Taekwon-Do careers! 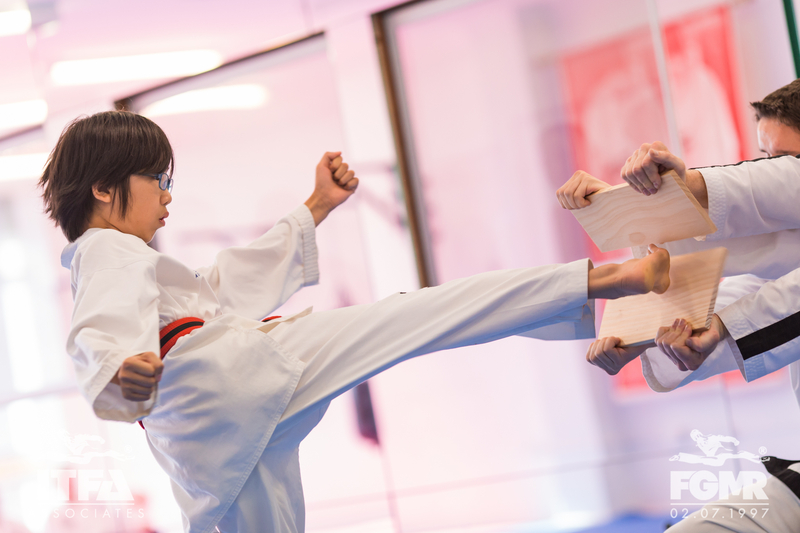 syllabus of Patterns, Step Sparring, Free Sparring, Terminology and Breaking until the Examiner was satisfied he had seen the required skills and questioned them all thoroughly. An almost audible sigh of relief was heard as the results were read out by FGMR with all candidates successfully earning their promotions! 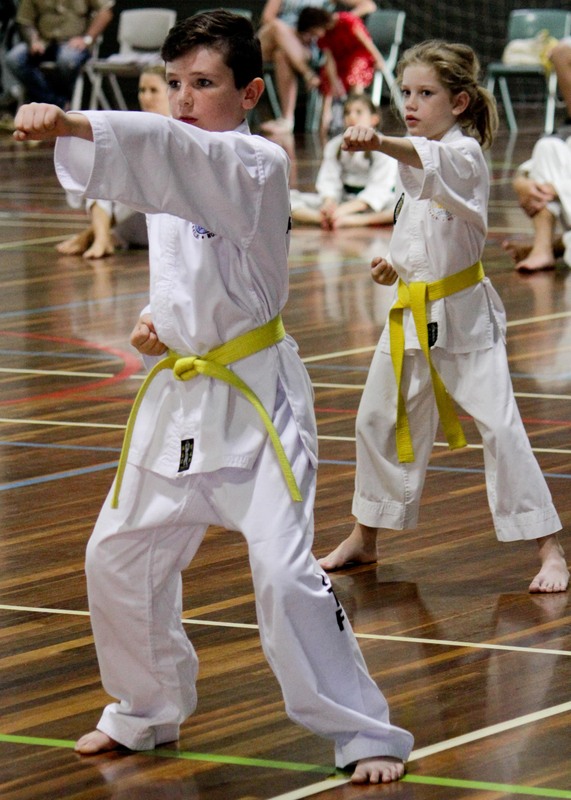 Each student stepped forward to receive their FGMR Certificate and Belt. 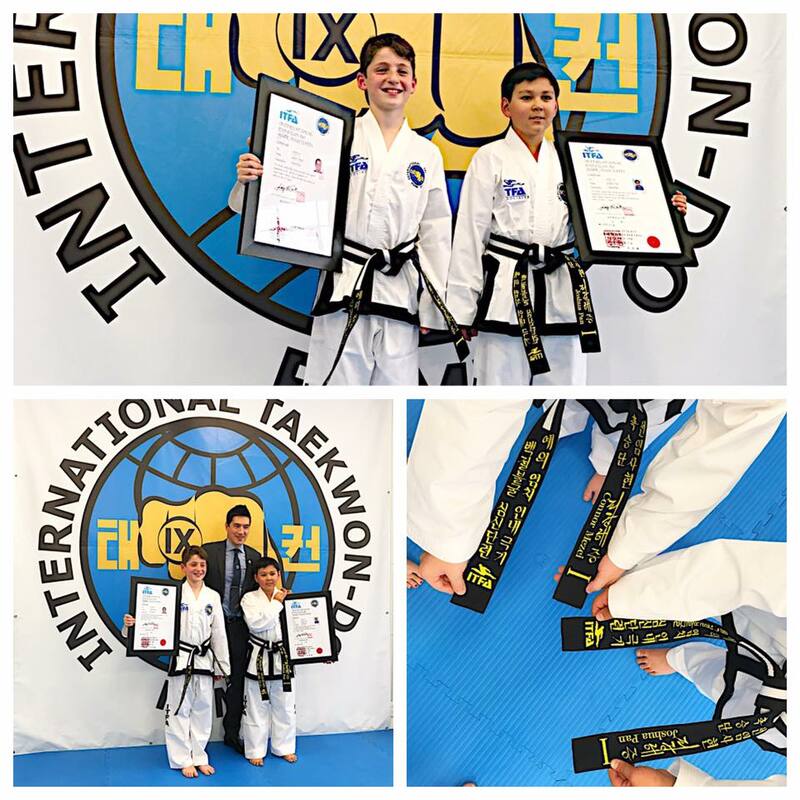 The newly promoted I Dans also received their FGMR Tie and Pin, their ITFA Black Belt pin, ITFA Black Belt Licence Cover and their ITFA Black Belt Dobok. However, the promotions didn’t end there. 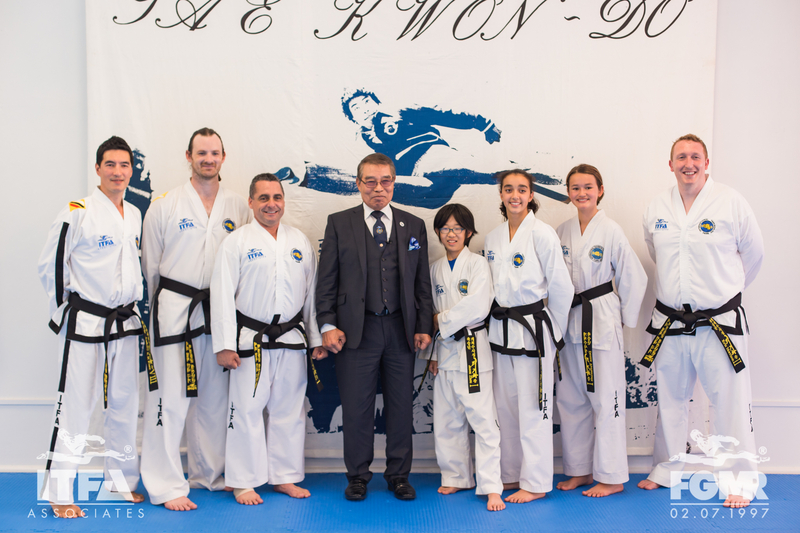 We proudly watched as our own Master and ITFA Founder, Master Andrew Kang-Hae Rhee, was promoted to VIII Dan (8th Dan) Senior Master! 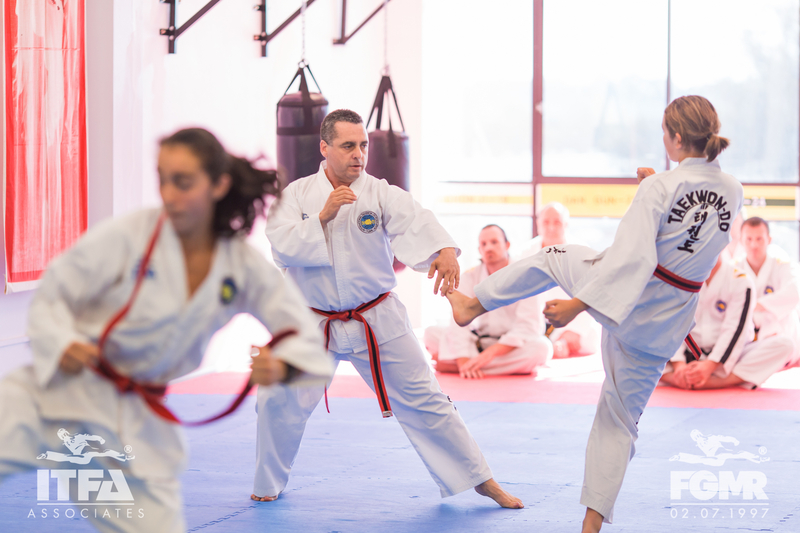 HIs promotion was in light of the immense amount of work Senior Master Rhee has completed since his promotion to Master in 2009. 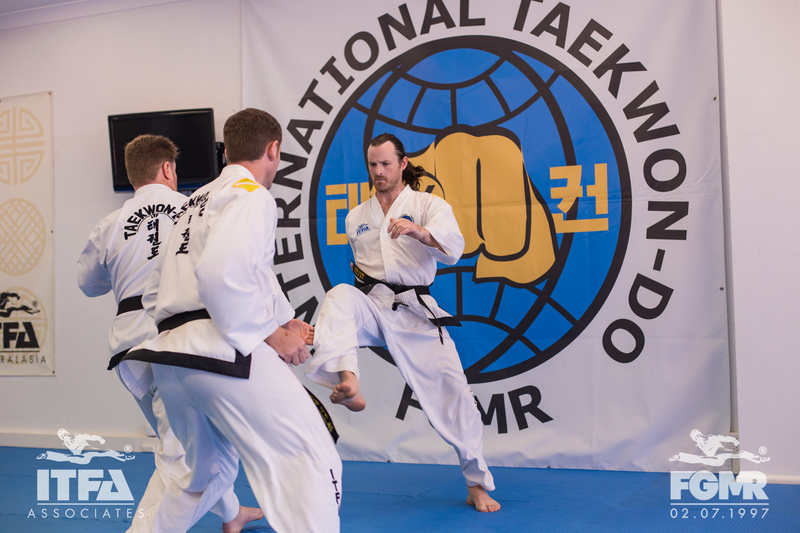 Senior Master Rhee had to submit his Taekwon-Do CV to FGMR for consideration a year ago for consideration at the 2016 ITFA events. 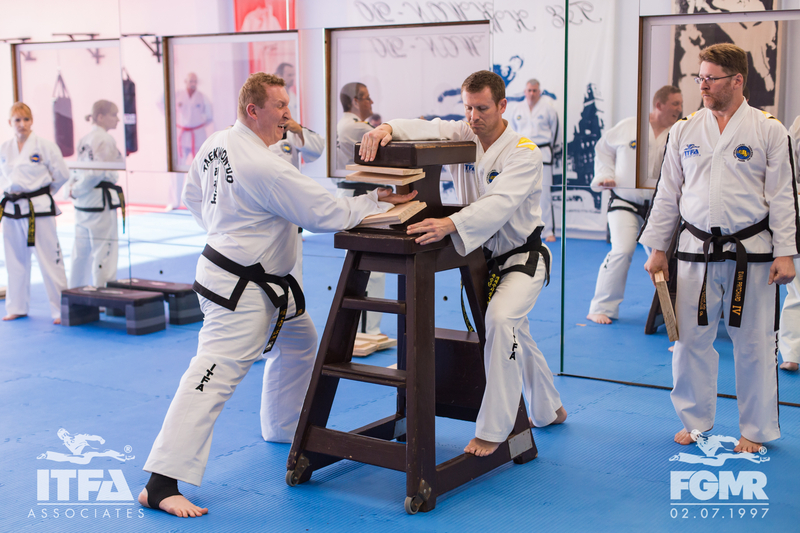 The journey to Senior Master, like any other Taekwon-Do promotion, is not about time served or, at this level, performing physically. It is about dedication and growth of the Art internationally. 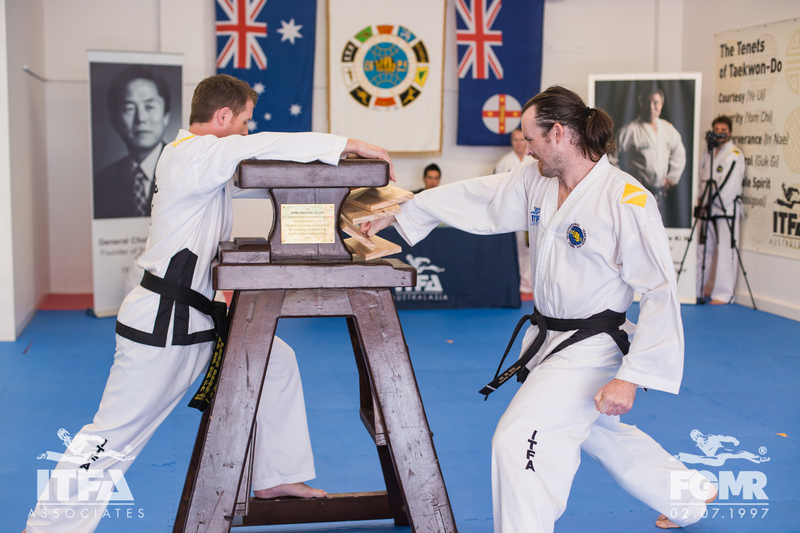 As well as moving to Australia in 2010 to further the Art and establish the ITFA, Senior Master Rhee has taught in Canada, Malaysia, UK, New Zealand and interstate in Australia. 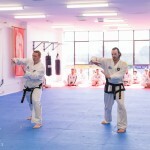 He has developed the concept of ViRTUAL Taekwon-Do to reach across the world to anyone with an internet connection. 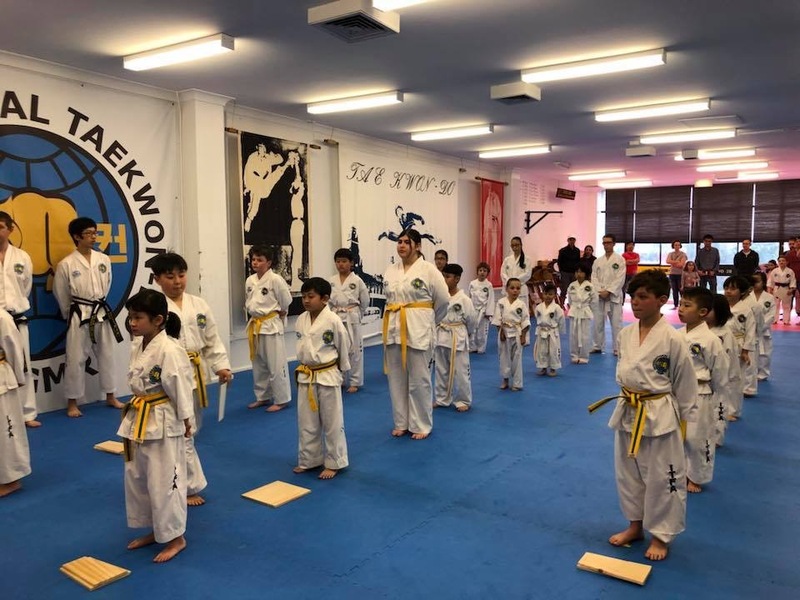 He has stayed true to the Art, following his Instructor FGMR and the encyclopaedia and is committed to growing a Taekwon-Do community globally with the same knowledge base as himself. 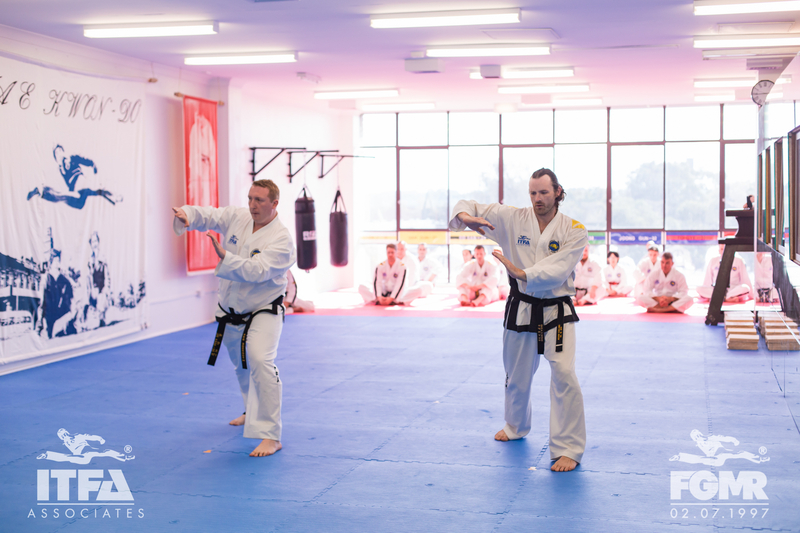 Following the presentation, Senior Master Rhee and Mr Britton took to the floor for a short demonstration, performing Tong-il Tul, the 24th and final pattern and destruction. 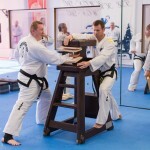 It was a fitting conclusion to the two weeks of FGMR events hosted by Senior Master Rhee and the ITFA! Congratulations to all the successful candidates. 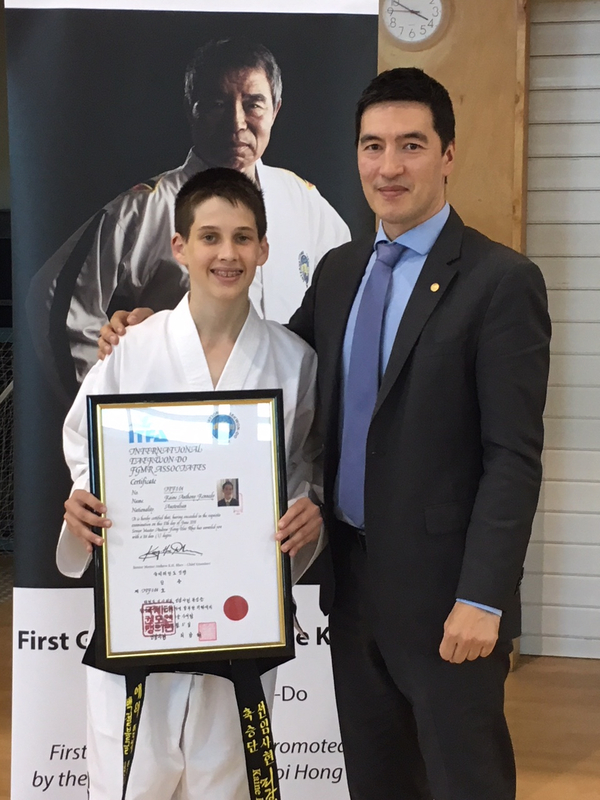 Senior Master Rhee has kindly allowed us to publish his Taekwon-Do CV to allow for transparency in his promotion to VIII (8th) Dan. 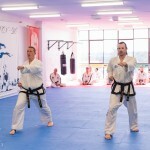 No Comments to "ITFA Taekwon-Do Founder promoted to 8th Dan by FGMR!!!"